Slime is hugely popular at the moment, it is the latest must have product. Slime has become a massive hit on Youtube with many videos having millions of hits. 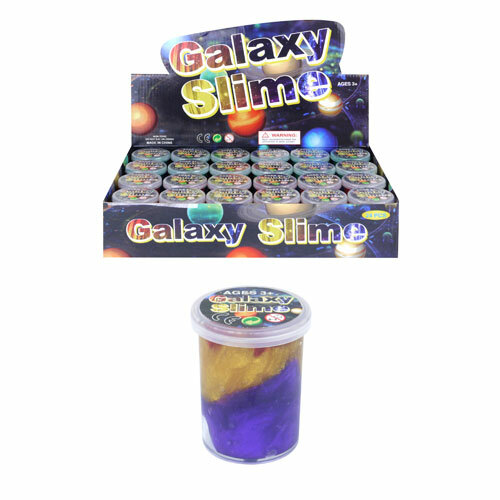 The slime range is primarily aimed at children but adults alike will love it too. There are lots of great games and activities kids are playing whilst using slime, and the great thing about it is once you’ve finished with the slime you just drop it back into the tub without having to worry about any mess to clear up. Slime is already proving to be a huge seller this year and looks set to continue into the Summer. It is Sure to enhance your range and boost your sales. We stock a super collection of wholesale Slime at low trade prices. In stock and ready for next day despatch. This entry was posted on Tuesday, March 27th, 2018 at 12:23 pm	and is filed under New Products & Specials. You can follow any responses to this entry through the RSS 2.0 feed. Responses are currently closed, but you can trackback from your own site.